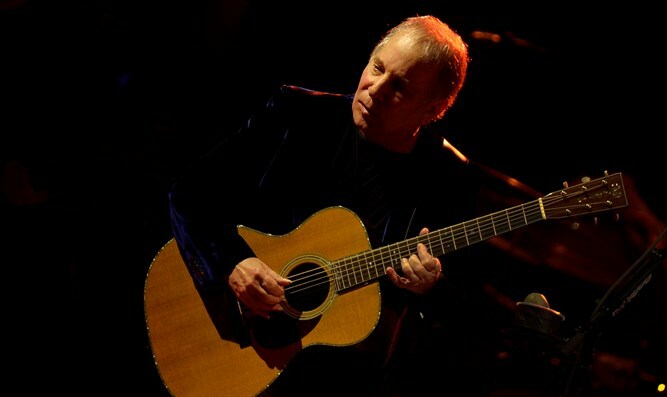 Paul Simon says he is going to stop touring, save for the “occasional performance” for charity. “I’ve often wondered what it would feel like to reach the point where I’d consider bringing my performing career to a natural end. Now I know: it feels a little unsettling, a touch exhilarating, and something of a relief,” the beloved Jewish songwriter said in a statement Monday. Simon, 76, noted that the death of his longtime guitarist Vincent N’guini last year contributed to his decision, along with the amount of time he spends away from his family during a tour. His upcoming “Homeward Bound” tour, which will span nearly 30 dates across the U.S. and Europe this year, will be his last. The singer had hinted at retiring from touring two years ago, saying that “Showbiz doesn’t hold any interest” for him. Simon grew up the son of Jewish parents in Queens, New York, and rose to fame alongside his singing partner and fellow Jewish New Yorker Art Garfunkel in the 1960s.